Welcome to the official University of Southampton and Southampton Solent University student accommodation search engine! This scheme, run in partnership between the University of Southampton, Southampton Solent University and Southampton City Council, exists to ensure that all students have access to a supply of high quality, safe accommodation. Having been in operation now for over ten years, we have helped thousands of Southampton students to find and rent a comfortable and well managed student home. We hope that you enjoy our free service and if you've found it useful, please do tell your friends! SASSH lets you sign up and search for student houses, flats and lodgings across the whole of Southampton. If you are a student looking for somewhere to live or a landlord who would like to rent out your property then sign up today and start browsing. Students - If you already have a university email address we would recommend that you sign up with it. For new users signing up with a personal email, an extra level of authentication is required and this can cause a delay in your account being activated. Once your account has been verified you can start looking at what is currently on offer. 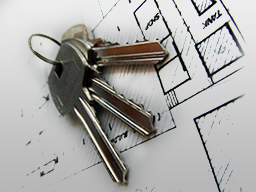 Be sure to check back regularly as new properties are listed frequently. Please note: do not make any payments before viewing a property or signing a contract. Make sure you are always given a receipt for any money given. With two Universities and over forty thousand students, Southampton has a thriving Private Rented market. 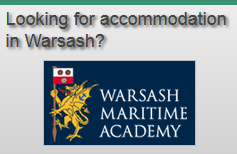 The Southampton Accreditation Scheme for Student Housing (SASSH) has benefits for both landlords and students. The scheme is run in partnership between the University of Southampton, Southampton Solent University and Southampton City Council. The purpose of the scheme is to ensure that students have access to a supply of high quality, safe accommodation that is well managed.